Groups are available for users to assign specific forms to be viewable on the devices of your choice. In this article we'll go over publishing your forms and creating new groups. When you first create a new form, it is automatically published so it can be accessed by devices in the field. 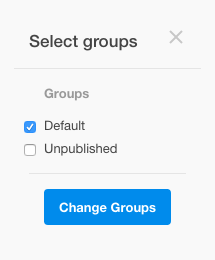 You can then click the groups link next to your form which will allow you to change it to "Unpublished". Let's leave your Timesheet form on "Default" for now. You do have the ability to manage your groups. To do so, navigate to your forms page. Then, click the 'Manage Groups' link above your forms list. You'll then be brought to your 'Groups' page. From here you have a few options, the option to create a new form and the option to edit your existing groups. First, we'll go over creating a new group. Click the '+ New Group' link. 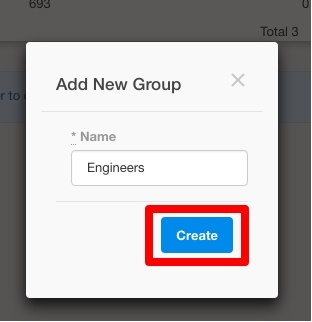 To add devices or forms to a group, click the pencil icon to the far right of the group name. To delete a group, click the 'X' next to the right of the pencil icon. Then, click the checkboxes next to the forms/devices in the 'Forms' and 'Devices' sections to assign them to the group. Forms that are assigned to the same group as a device will be viewable on the device to complete. This concludes our walkthrough of publishing forms. If you have any questions or comments feel free to send us a message at support@devicemagic.com or leave us a comment below.